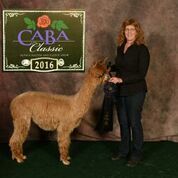 Judge Choice and 2X Champion --Quebracho comes from the highest quality champion genetics. 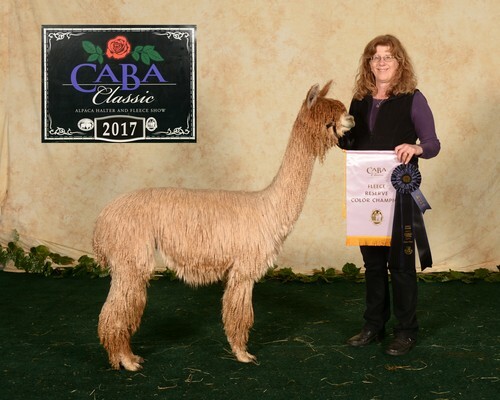 His multi-champion stud female line includes the best: Arizona Sage, Accoyo Starcrossed, Eleuteria and Accoyo Harmony. His sire, SBS Stardust, is a multi champion, with all star genetics behind him as well. Lingering fineness is a hallmark of his genetic pool coming from his dam side. His biopsy results are incredible: 68.75 follicles SQ/MM, 14.5 to 1 for S/P Ratio, 10.8 micron variation between secondaries and primaries, a very low 20% secondary fiber medullation & 4 out of 4 gland presence. 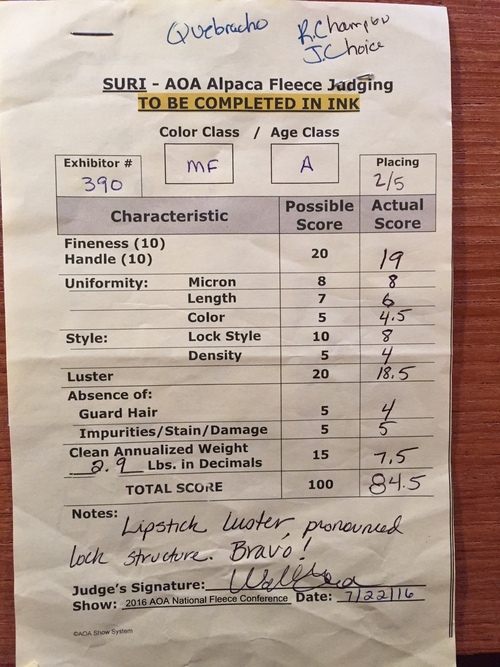 His 2017 biopsy AFD equates to 20.04 micron. His glandular infrastructure accounts for his high level of luster and his low medullation is associated with excellent handle. This is a highly heritable trait. 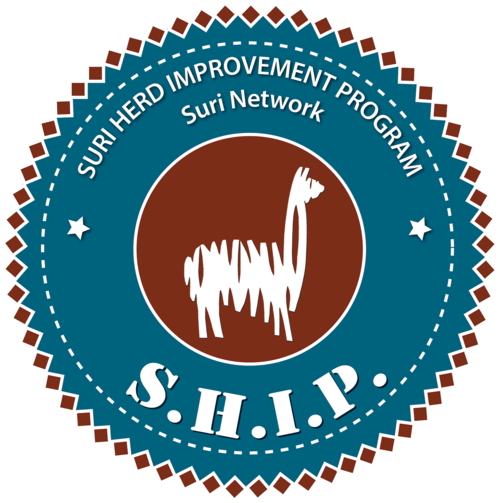 In 2017, Quebracho was evaluated by Cheryl Gehly of the Suri Network Suri Herd Improvement Program (SHIP) and received top scores (1-5 with 5 being the highest score possible). 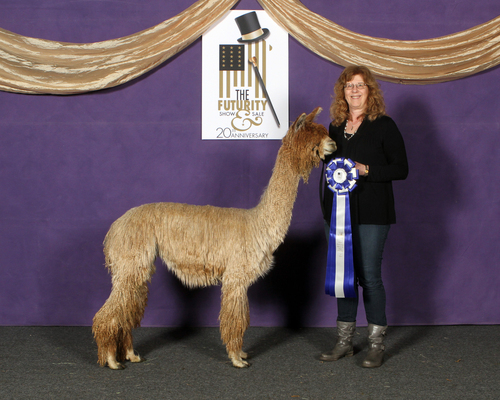 He scored 5s on all conformation traits and 4's and 5's on his fleece traits.